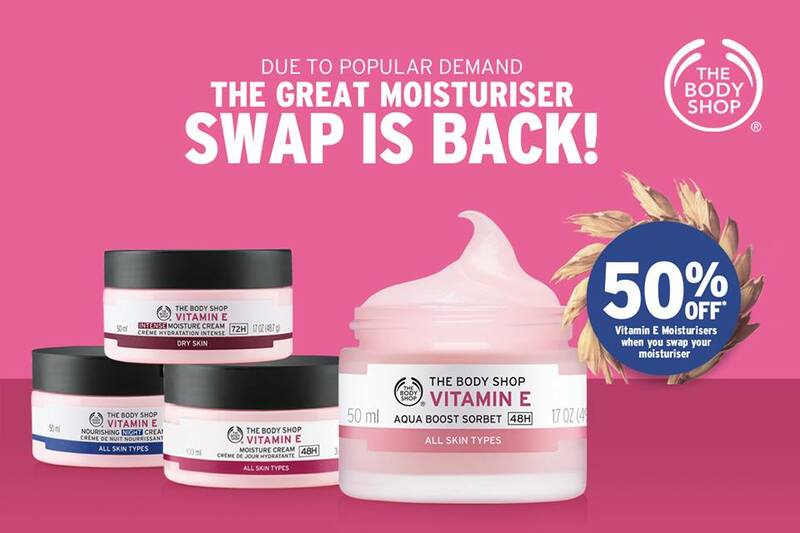 Swap your old moisturiser and get 50% OFF on Body Shop Vitamin E Moisturisers! – One moisturiser = one 50% discount on qualified Vitamin E products. – Moisturiser containers for swapping can be empty or filled with contents. – Other brand moisturisers can be swapped. – Old moisturiser must be in jars, bottles or tubes.